A few years ago, it was common to see YouTube clips in the Facebook News Feed. But eventually, Facebook realized it was doing the work of helping people discover video content, yet letting users slip out of its walled garden to view videos and the ads that come with them. Over the past 18 months, it began giving natively uploaded videos more visibility in the feed, leading to a frenzy of video posts from users and businesses that wanted the Likes and attention. Meanwhile, it acquired video advertising platform LiveRail, and has seen a massive uptick in businesses paying steep rates to show the videos they upload to people who don’t follow them. The increase in the presence of organic video content makes the video ads blend in naturally, allowing Facebook to earn more money while delivering vivid content people come back each day for. Today Facebook sees well over 4 billion video views per day, but it’s largely missing YouTube’s most popular content type: music videos. From Justin Bieber to “Gangnam Style”, many of the most watched clips on YouTube are promotional vids for songs. YouTube pays the labels for showing getting to show their music videos, which often run after pre-roll ads. Still, some record executives think YouTube should pay them more because not only is it getting to earn money from showing the videos, it’s a free music streaming option that might convince some listeners they don’t need to pay for services like Spotify or Apple Music. So to seduce the labels, The New York Times says Facebook is offering better payouts in exchange for music videos. But Facebook has more carrots to dangle. Its massive user base that spends a huge portion of their Internet time browsing the News Feed means Facebook could potentially offer labels more views for their videos. 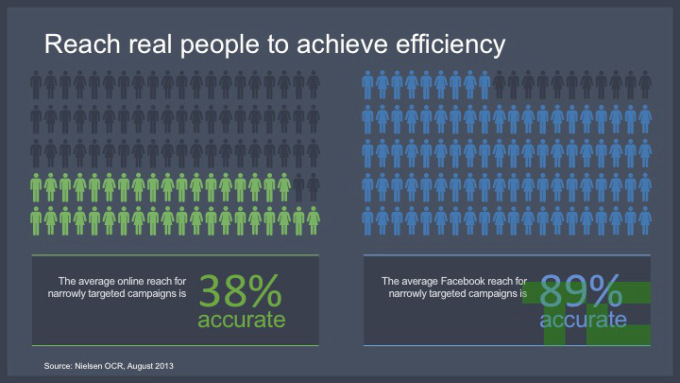 Facebook’s already been touting its scale to advertisers in a deck attained by TechCrunch last year. Many expect Facebook will overtake YouTube in video views per day. Some of those views are only a few seconds of auto-play with no sound. But then again, Facebook’s only been serious about video since the end of 2013, while YouTube’s been at it since 2005. Mark Zuckerberg himself has frequently said the future of Facebook is in vivid media formats like video, which he believes will become more important than photos. 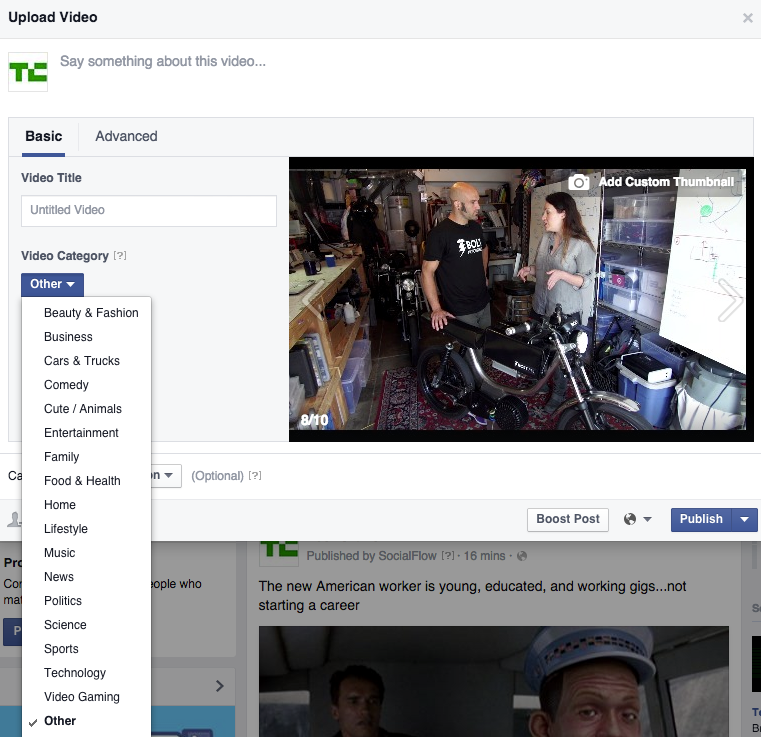 In fact, TechCrunch just spotted a new video tool for Facebook Pages that lets them categorize their clips with tags like “News”, “Sports”, or…*drumroll*…”Music”. Facebook also knows more about its users than YouTube. Everyone on Facebook is logged in, and Facebook is methodically logging their behavior to tune its personalization algorithms. That allows it to suggest users videos that they’re likely to want to watch. It can also pass this data back to video publishers. Many YouTube users are logged out, or have only minimal biographical info on file with Google. Its more about a homepage of trending videos and people visiting it directly. Counterintuitively, Facebook could steal viewership from YouTube because people don’t come to Facebook for videos. They come back daily, even multiple times, to see friends, read news, and generally be entertained. With the money to pay for music videos, the data to know who to show them to, and plenty of eyeball time, it could become the record labels’ preferred place for their clips. Plus, its malleable feed means it could suggest rising artists that labels need exposure for. This isn’t to say YouTube is screwed. It’s massive, controls a huge ecosystem of homegrown video stars, and has a lock on being the video destination. If you want to send a friend a viral video or even a specific music video, you’ll probably still share the YouTube link. And it’s doubtful that Facebook would ever get exclusive rights to show music videos. . But if you’ve already watched those videos in your Facebook News Feed where you go everyday, you might not follow those YouTube links. The only issue with music videos is that the normal way we think of watching videos doesn’t fit with a scrolling feed like Facebook’s. YouTube works great for music videos on the web because you can open them in a tab, then go about your business answering email or browsing other sites while the video plays in the background like a streaming music service. But on mobile, YouTube doesn’t allow you to switch to other apps while something plays unless you subscribe to YouTube Music Key or use an official workaround app. So how could Facebook solve this? Picture-In-Picture. Recently, The Next Web’s Owen Williams reported that Facebook is testing a picture-in-picture button, shown above. When clicked, it pops the video into a floating player that the user can drag anywhere on the screen where it will keep playing on top of the News Feed as they continue scrolling. You can see a GIF of it at the beginning of this post. Now imagine this for music videos. Suddenly, you could come across a sweet clip from Beyoncé or Arcade Fire, watch it for a few seconds, then pop it into the corner of your feed and just listen. Facebook might scuttle the test, but if users like picture-in-picture, it could potentially try to bring the experience to mobile. There’s not much room, and even a small video might cover up some of the screen, including Facebook’s ads. But when Twitter tested its own docked video player last year, it looked pretty slick. Facebook users could dock their video in the bottom corner, keep browsing, and re-open it full-screen if something caught their eye. Suddenly, it seems like everyone wants to host music videos. Apple features them in Apple Music, both as suggestions of what to listen to and as posts from artists in the Connect tab. Spotify recently announced it would start showing video clips inside its app. New apps like Vessel are trying to court indie musicians and their videos with better revenue sharing. The labels still run their own hosting platform Vevo that often fueled by YouTube’s player. And YouTube is trying to monetize music videos more aggressively with its YouTube Music Key ad-free paid subscriptions. Why now? Mobile has come of age for video. Phones unlock the little five-minute wait times in our lives, and prime them for content consumption. Faster network connections, bigger screens, and more powerful processors all mean the videos load and look better. And advancements in mobile advertising make them monetizable. What that means is that any app that already has a ton of attention also has a ton of potential to show video. And no app sees more eyeballs than Facebook.